In the early 1980s, the celebrated Garelli motorcycles dominated the 125 class in Grand Prix motorcycle racing winning six consecutive world championships between 1982 and 1987. Founded in 1919 by Alberto Garelli, this historic motorcycles have marked the begining successful racing careers of many renowned Italian motorcycle racers including Tazio Nuvolari, Achille Varzi and Ernesto Gnesa. 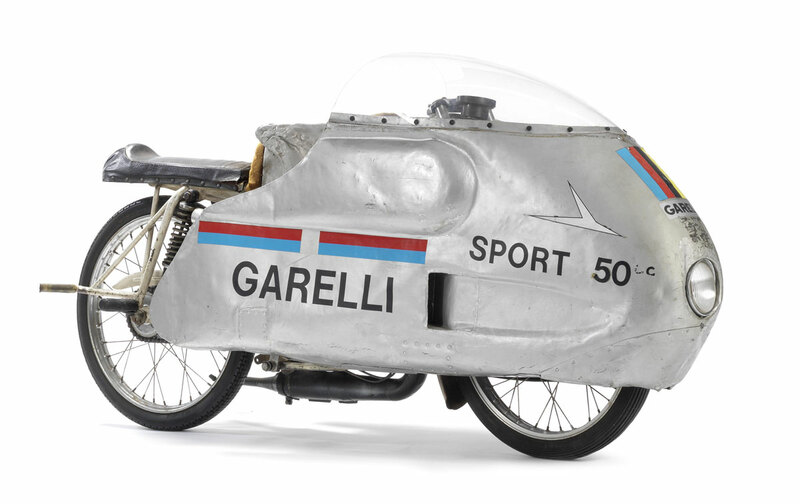 Now, the entire Garelli Grand Prix Collection will be offered at Bonhams sale on February 5 and 6, 2013 at the Grand Palais in Paris, France. Two dozen Garelli racing motorcycles are up for bidding, mainly from the company’s heyday in the early 1980s, with some pre-war machines included as well. 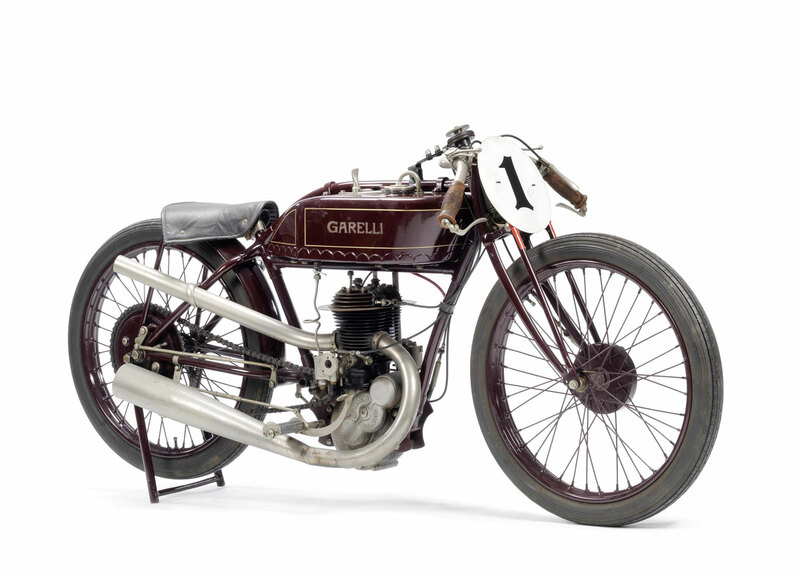 Notably, all of these historic Garelli motorcycles which were originally housed by their current owner in a private chapel will be exclusively sold at no reserve. Highlights from this collection include the 1963 50cc Monza world-record breaker, complete with its “dustbin” fairing, a 1983 Garelli 50cc racer which Eugenio Lazzerini rode to the world title that year, and a 1987 125cc twin which won Garelli’s sixth rider’s World Championships and fourth manufacturer’s title. Estimated worth of these machines range from $15,000 for the 1980s racers, all the way to $90,000 for the 1963 model. Also part of the same single-owner collection are two non-Garelli motorcycles: Honda RC30 American World Superbike Champion Fred Merkel rode during the 1989/1990 season (estimated worth: $26,000 – $39,000) and a 1989 Yamaha TZ250 Frenchman Jean-Francois Balde competed on during his final season of Grand Prix racing (estimated worth: $4,000 – $6,500).